There’s a new wall-crawler in town! 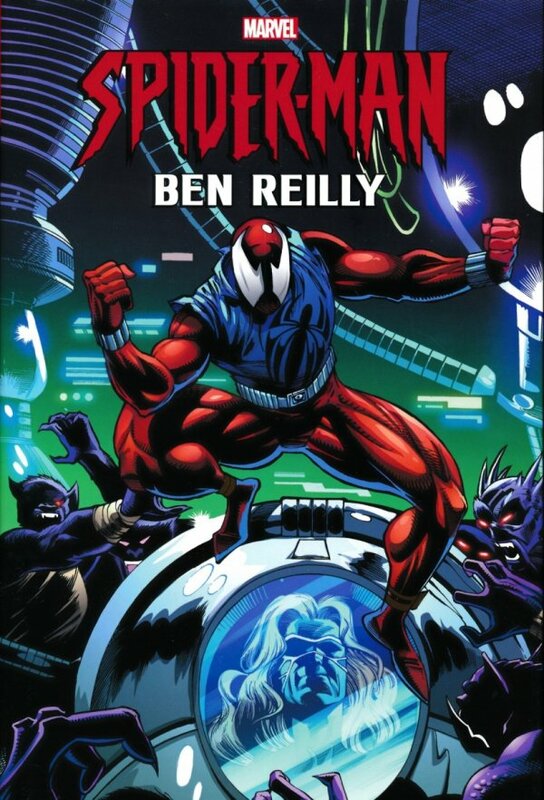 Meet Ben Reilly, the Scarlet Spider, who recently learned he’s not a clone of Peter Parker after all - he’s the original! And when Pete decides to hang up his web-shooters, Ben retakes the job...as Spider-Man! There’s no shortage of foes to fight - including the new Doctor Octopus, Venom, Mysterio, Tombstone, Sandman, Kaine, Carnage and more! But while Ben wears the revamped red-and-blues as Spidey, what does that ol’ Parker luck have in store for Peter and the pregnant Mary Jane? Collecting WEB OF SCARLET SPIDER #1-4, AMAZING SCARLET SPIDER #1-2, SCARLET SPIDER (1995) #1-2, SPECTACULAR SCARLET SPIDER #1-2, SCARLET SPIDER UNLIMITED #1, GREEN GOBLIN #3, SENSATIONAL SPIDER-MAN (1996) #0-3 and WIZARD MINI-COMIC, AMAZING SPIDER-MAN (1963) #407-410 and ANNUAL ’96, SPIDER-MAN (1990) #64-67, NEW WARRIORS (1990) #67, SPECTACULAR SPIDER-MAN (1976) #230-233, SPIDER-MAN/PUNISHER: FAMILY PLOT #1-2, SPIDER-MAN HOLIDAY SPECIAL 1995, SPIDER-MAN: THE FINAL ADVENTURE #1-4, SPIDER-MAN UNLIMITED (1993) #11, SPIDER-MAN TEAM-UP #2-3 and material from VENOM: ALONG CAME A SPIDER #1-4.